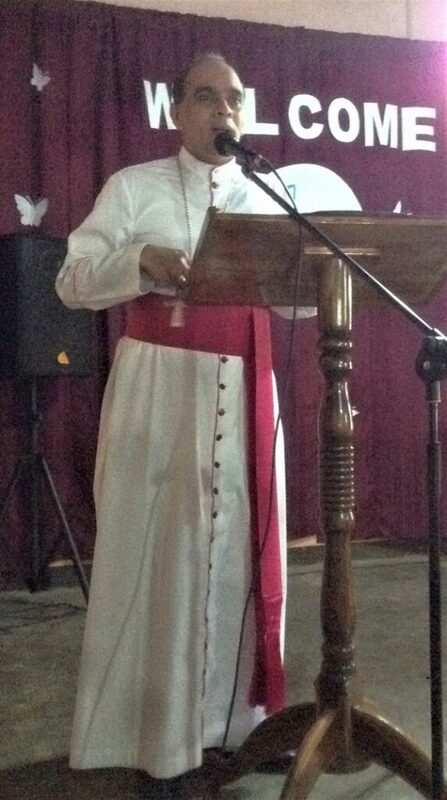 The summary of Bishop’ s speech on the occasion of felicitation ceremony held in Peter Bachmann Foundation-Chilaw on the 11 of January 2019. 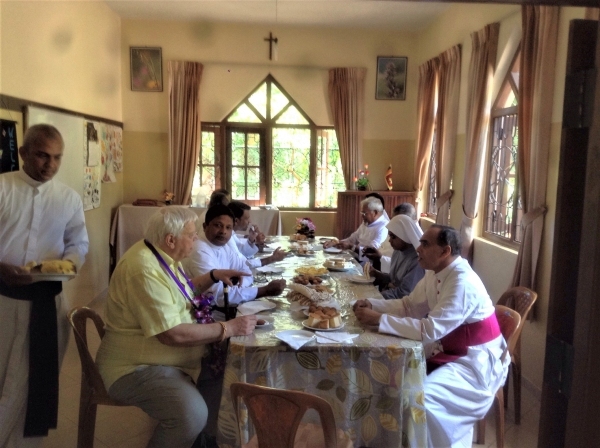 Dear Dr. Peter we are very happy about your surprise visit to Srilanka and specifically to the Foundation in Chilaw within my diocese. 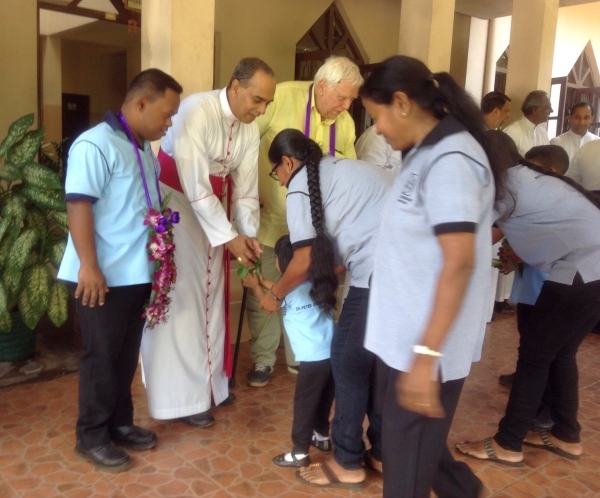 You have honored us by establishing this educational institue for the children with learning disabilities in Chilaw. This is a humanitarian service that you have initiated to the neediest. Thank you so much. If it was not for you one could hardly imagine an institution of such nature for the children with special needs. We remember you always for this service. I am very happy that now the management of the Foundation is in the able hands of the Jesuits. I am deeply touched by welcome danced performed by the children of this Center. We create a loving and comfortable environment how much these children do. I am so happy that these children of this Center regularly come to the basketball court in the premise of the Bishop’s house. Apart from the priests, they are a privileged group to play in the premises of the Bishop house. I come to know through Fr. Wasantha that over the years you have done a lot to the needy and the poor in our diocese, providing houses for the poor and sanitary facilities to the neediest. Your humble services to the people in our country are very inspiring and challenging. Your current apostolic involvements in Ethiopia and some other poor and most deserving African countries are very inspiring. You are a living example to all of us. You make us think even in our services to the poor and needy are in the right direction. Your humble humanitarian service to the needy and the poor over the years not only challenge us, makes us a question to see about our motivations in reaching out to the poor and needy. You are truly an apostle of Christ in your life. Thank you sincerely for giving us an oppertunity to appreciate you for all that you have done to the needy and to the poor in our land. We always remember you and your services in our prayers. May God bless you with his grace and love. You are most welcome to Sri Lanka again. We are happy to host you. I hope this is not your last visit to us. We wish you all the best for your work to the poor and most deservings. Thank you and God bless you.